BIG news for our 4 wheel drive enthusiasts! The NEW Alpine INE-W710D has just arrived in store and it’s set to become one of our biggest sellers. 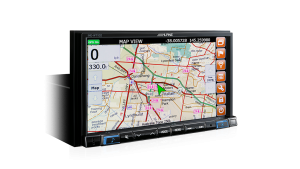 The unit boasts loads of great features including Apple Car Play & Android Auto BUT the biggest selling feature is the inbuilt HEMA Maps offroad navigation system. HEMA Maps will give you greater peace of mind when exploring places like Fraser Island, Mt Mee or any off-road location around Australia. 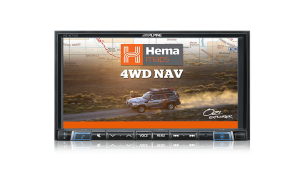 Built for the 4WD lifestyle, the embedded Hema navigation lets you explore your off-road adventures with topographically maps. Plus, Alpine’s premium navigation gives you high-resolution street maps with 3D city views, safety camera alerts and speed zones. 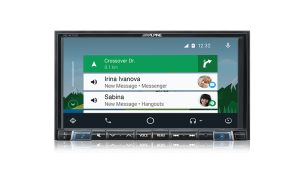 What’s more, you can seamlessly route on-road to an off-road destination with Alpine 3D terrain off-road turn-by-turn navigation, and search to find the nearest caravan and campsites, off-road tracks and 4WD POIs. 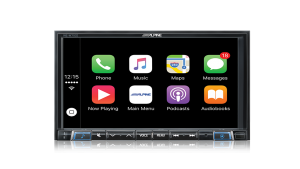 Featuring Apple CarPlay and Android Auto, the INE-W710D is a highly equipped head unit allowing seamless use of smartphone apps in the dashboard. You can make calls, send and receive messages and listen to all your favourite music. With its immaculate 7″ capacitive display you have full control over the multitude of sources including USB video and music, DAB+ digital radio, Bluetooth music streaming, connected HDMI devices, navigation and much more. Call us today for a quote on 075443488 or pop in store to chat to one of our friendly staff. Check out the latest install video below.